Inspired by my retro wallpaper magazine I have produced several mid-century style wallpapers of which this is a particularly good example. The colours are jonquil for the background and orchis as the colour for the main motif, and these colours look good together and are, of course, real mid-century hues. The set is an unfurnished room from another set which I purchased although work is in hand to produce a studio set from the excellent P I C K components from YURdigital which can then be furnished from my existing stock of furniture. 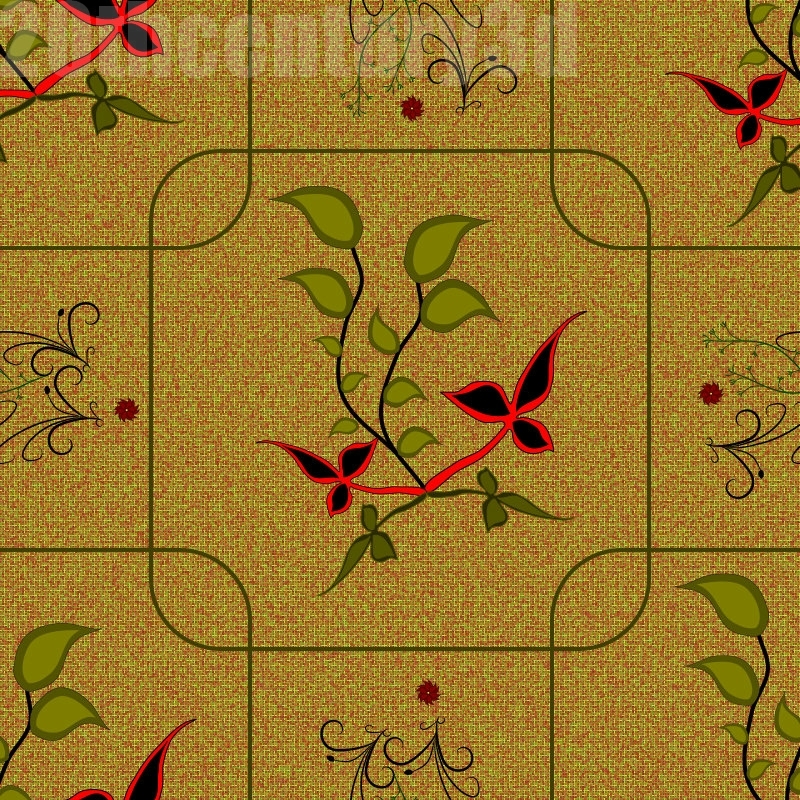 I tried the design in a variety of colours and these colours shown were the best although it is quite possible that I may vary the colours when I use this design again since it is a wall covering that I like. 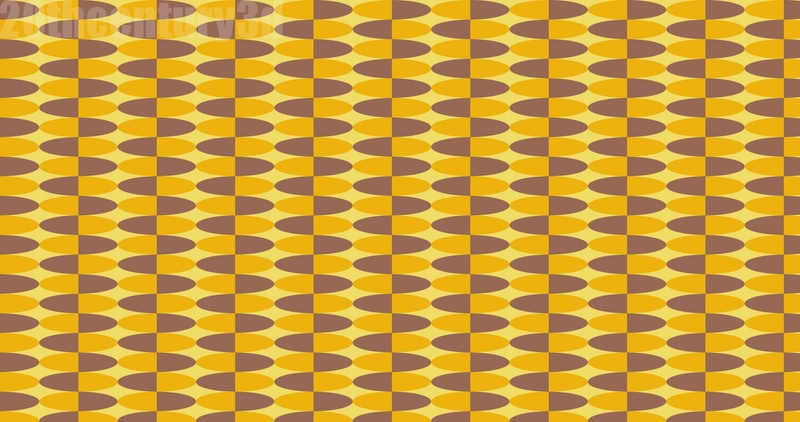 A new pattern for the New Year: this is a mid-century style pattern designed as a fabric pattern but also, rather cheekily, used as a very contemporary mid-century wallpaper. The colours are based on mid-century colours as created as British standards and so they are colours rather than colors. The colours used are, for the wallpaper, crimson, sky and light stone. In the fabric the colours are jasmine, oxlip and cocoa. Once again the colours are chosen because they are contemporary mid-century colours but also because they are colours that were frequently used and which naturally seem to go together. The set is the Classic Deco room by Jack Tomalin and is shown here as it comes, totally unaltered save for the addition, rather cheekily, of the second colour variation of this pattern used as a feature wallpaper. Feature wallpapers such as this were big in the 1950s and 60s (at least in the UK) and this design looks very much at home in the house as it would have been during that period. The dress, incidentally, is the Paige dress just with the pattern added except for the wallpaper image where the colour of the dress has been warmed. The image above is simply one of the pattern swatches and below is an image of one of the renders, the remaining images are on my Flickr account and the address is here. This is space as it would have been seen in the mid-20th century and the clothing is just an extrapolation of what was being worn, with a little imagination added. No shiny, modern, mono-coloured materials here! The image is a detail from a slightly larger scene and it shows Chief Engineer Miki wearing what would, and what may yet become, regulation space wear inside the station. The pattern is xar139, a pattern designed for everyday workwear and is shown here in two colour variations. Very comfortable and smart it looks, in fact, I have to say that it looks even better than I had thought it would! I know that you are thinking that this is like modern leisurewear or sleepwear (and in fact it is) but in the 1970s it would have looked very advanced and comfortable and just the thing for a very nimble and agile space engineer to wear. In this detail Miki is talking to the Commander and I will show another detail from the scene which describes the Commander’s clothing probably tomorrow. Again, this will be crafted from the new range of patterns for workwear. The scene was assembled in Poser using the PICK products for sci-fi and I think that they make a quite realistic space station and I enjoyed making it. As ever, the image can be seen in a larger version on my Flickr photo stream and the link is here. No, I haven’t forgotten what this blog is called, this is a scene from a classic, mid-century style science fiction magazine envisioning the advent of space travel in the (very) near future. Here we see the Station Commander enjoying a few precious minutes of relaxation in the weightless chamber of the orbiting space station – or maybe on the starship that everyone expected to have been built by the early 21st-century (that is NOW). The shirt uses fabric xar089 while the shorts have a new fabric, xar140, which is intended to be the sort of every day fashion fabric that would have been used mid-century. As ever, the image can be seen in a larger version on my Flickr photo stream and the link is here. The scene was created and rendered in Poser using the excellent PICK components that can be used to create both scifi and ordinary house scenes. The texture on the walls and floors of the chamber is, of course, my own. The images on Flickr that go with this post are designed to show the same pattern at different sizes on the same piece of furniture. This is something that I have wanted to do for a long time, show the same pattern at different sizes on the same object so that I can see clearly the effect of scaling. 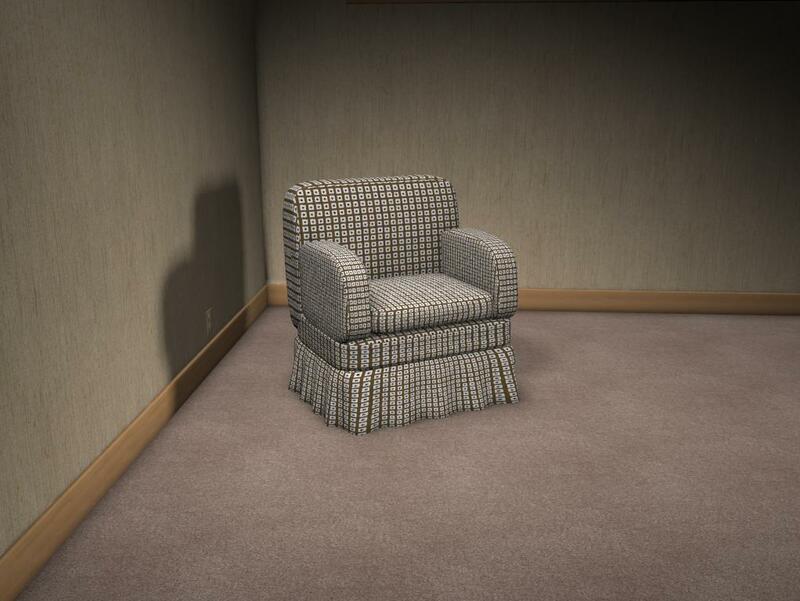 The armchair is rendered in Poser and you can see from looking at the images the pattern and the effect of changing the scaling. This exercise serves a double purpose in allowing me to see how scaling effects objects in Poser but also, and more importantly, to see how scaling affects the overall look of an object. It is also very easy to produce images like this using 3D software and, of course, this makes life a lot easier. 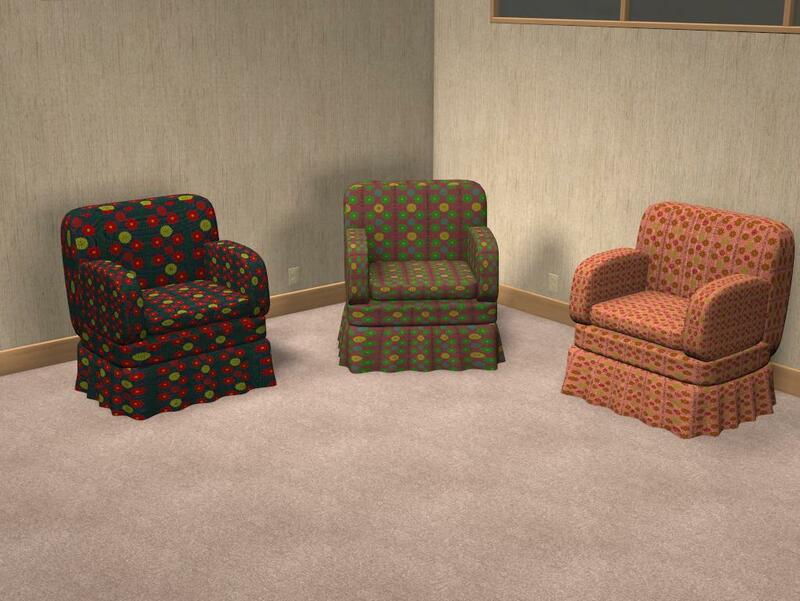 The pattern used is based on mid-century designs and, as ever, the three sets of images, in total nine armchairs, are available on my Flickr Photostream and the link is here. 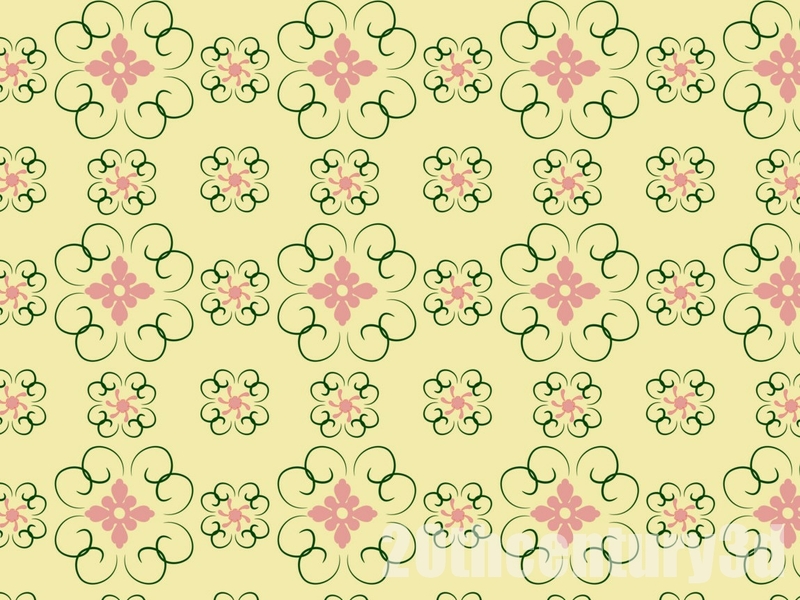 Back to my roots for this pattern today because it draws heavily on mid-century fashion materials dating from the late 1950s into the first years of the following decade. Before the excesses of the mid-60s, patterns were drawn from pre-war stock but tended to use much more modern and brighter colours. The pattern swatch is shown above and the pattern was used to texture Miki’s dress in six gorgeous colours each of which is taken from the, then current, British Standard mid-century colours. The colours are on a cotton textured background but based on the following: charcoal, reef red, chocolate, midnight blue, maroon and black. Rather than choose just three for the composite picture as I usually do I was so pleased with the look that I have posted two separate pictures showing three colours on each and therefore used all of the colours that were available. This is also an outdoor scene using East Terrace and was rendered in Poser and, once again, I am very pleased with the result. The swatch is above but you can see a larger version and both of the composite’s on my Flickr photo stream and the link is here. As promised yesterday I used xar135 to cover the chair that I have used before and the result is shown above and on Flickr. As I said, this particular design is intended to be both simple and functional and to be capable of fulfilling a wide range of tasks and this is show by its use here as a furnishing fabric. However, the design looks very modern rather than mid-century. 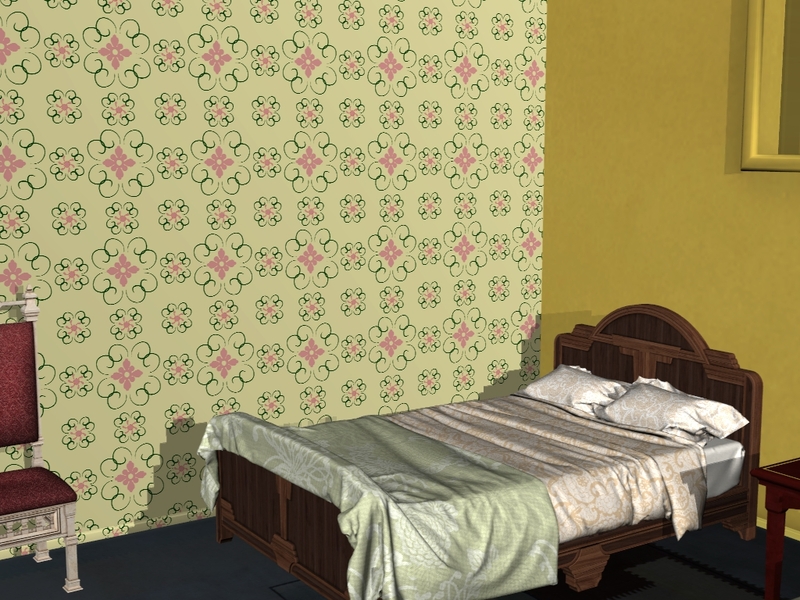 This is one of the big advantages of using the pattern in a 3D scene.